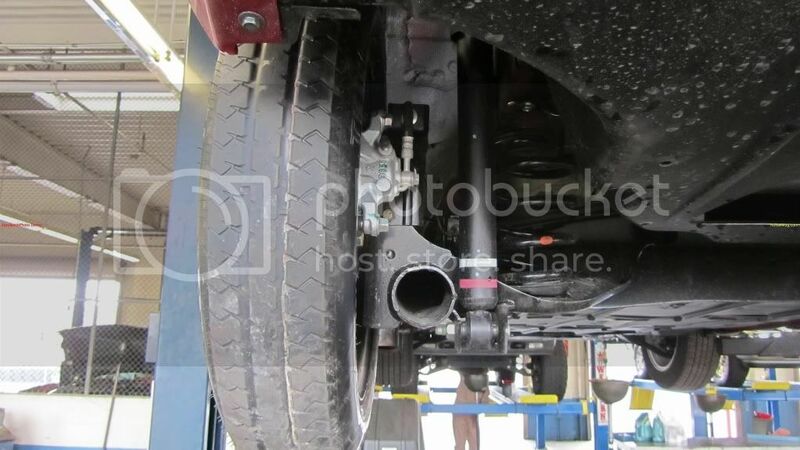 Here are some pics of the positioning of the my spare tire carrier. I have two spare tires; one from a Nissan Altima (years 2002-now) and one from a 2004 Nissan Quest Mini-van (not sure the range of years). All the wheels must be the 5 lug, 4.5 inch / 114.3mm mount, and are typically a 16 inch by 4 inch rim. Tires vary, with the Altima tire being a 135-90-16, and the Quest tire a 135-80-16. The larger numerical aspect ratio (90, vice 80) has a larger diameter than the latter. I hope to have this project completed in the next 10 days. Our uber-geeks have spec'ed nearly everything that can be spec'ed. If we could just take over Distribution and Customer Service, we could probably get a seat on Nissan's board. Does the spare clear the front brake caliper? How about a place to bolt-on a towing hitch?.. for a small trailer. 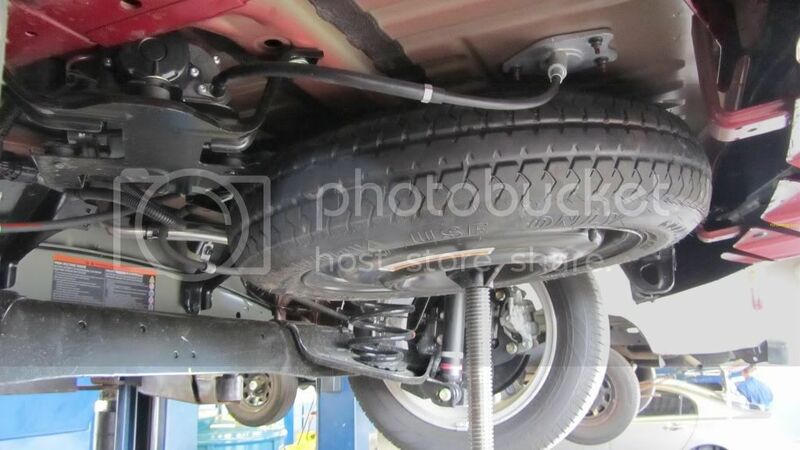 Tony, you plan to reinstall the rear underbody shield after you mount the spare? It would seem he does, since his last picture shows it in place. The "bottom pan" is important for aerodynamic drag, I suspect. 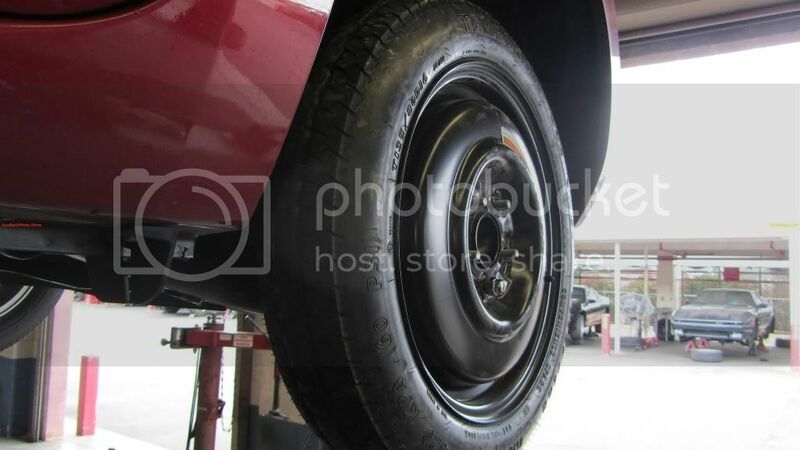 Question is, can one remove the rear "bottom pan" in the field to be able to acccess the tire in roadside conditions? Are you thinking of using a "standard" crank-down mechanism installed in the floor of the cargo area? 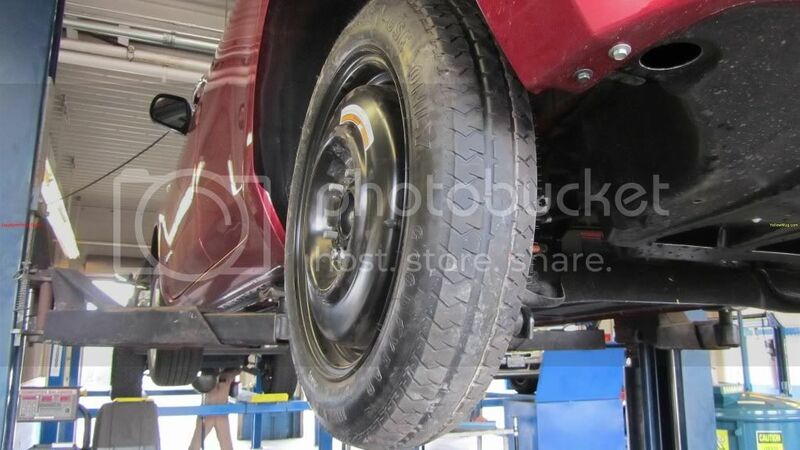 Or, add a "tire well" and cut an access hole (and add a "lid") into the floor of the cargo area? 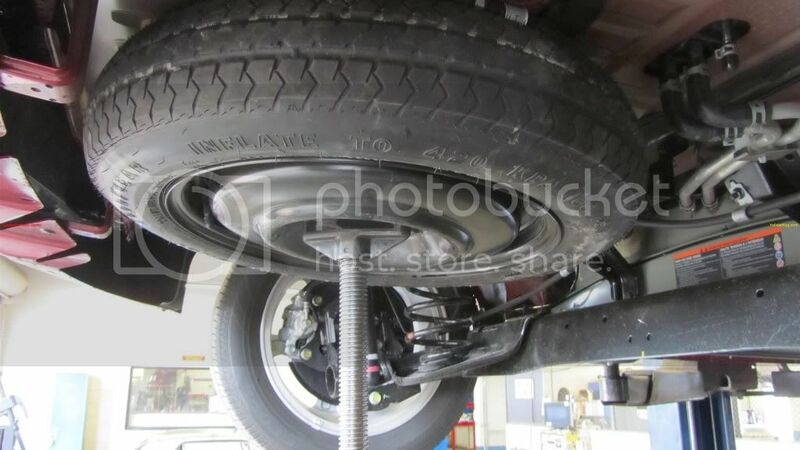 From the pictures, it looks like the Quest tire is narrow enough to fit, but that the stock LEAF tire is a bit too wide, even though the LEAF tire's slightly-larger diameter would be OK? nader wrote: Does the spare clear the front brake caliper? Yes. Any 16" Nissan (or virtually any other manufacturer with a 5 hole x 4.5 inch / 114.3mm pattern will probably fit) spare wheel in 16 inch rim diameter should work. 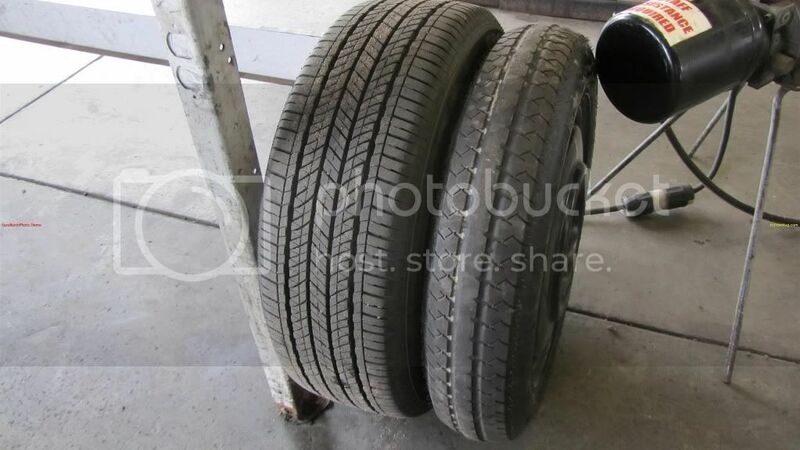 The two spare wheels that I have will work, and are both from Nissan. I'm also working with a wheel manufacturer for a lightweight aluminum wheel. Last edited by TonyWilliams on Thu May 19, 2011 7:30 am, edited 1 time in total. Herm wrote: How about a place to bolt-on a towing hitch?.. for a small trailer. Trailer hitch is in the plan !! Mostly for bike racks, wheel chairs, rack for hauling bags of messy stuff that you don't want in your car (like fertilizer, gasoline cans, dirty camping stuff, etc). Mine will be "aerospace" inspired for the lightest weight. Virtually anything else offered is typically a HUGE, overbuilt hunk of steel, and they're always heavy. You're never going to haul a heavy trailer with the LEAF. I do plan to reinstall the rear under-body panel. garygid wrote: Question is, can one remove the rear "bottom pan" in the field to be able to acccess the tire in roadside conditions? No, the rear under-body panel would stay in place, but modified. Yes, standard crank-down. There's no need to reinvent the wheel The actual crank access will likely be the right rear corner of the car, under the bumper. Yes, a simple "wheel-well", just like an airplane. A 30 inch diameter tub and a cut-out in the rear under-body panel. Super simple. No lid, or "gear door", as the airplane world calls it. There are plenty of fast airplanes without gear doors in a low drag area. There's no intention to carry a spare full size tire, but you could, I guess. It would hang a bit out the bottom (not a big deal... look at mufflers hanging out the bottom of ICE cars!). I just included the picture to show how the sizes compare. The Altima spare tire will be slightly larger in diameter than the stock tires. 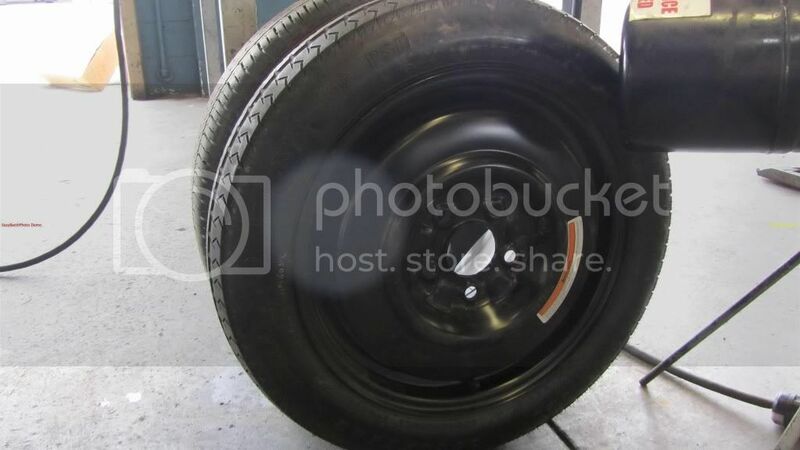 I just needed to know the LARGEST diameter likely spare tire to spec out the diameter of the wheel-well. With care cutting out the "30-inch hole" in the rear under-body panel, the cut-out piece could be used as a "cover" for the hole. It could be fitted back in nicely, perhaps using "clips" to hold it onto the rim of the new "wheel tub". 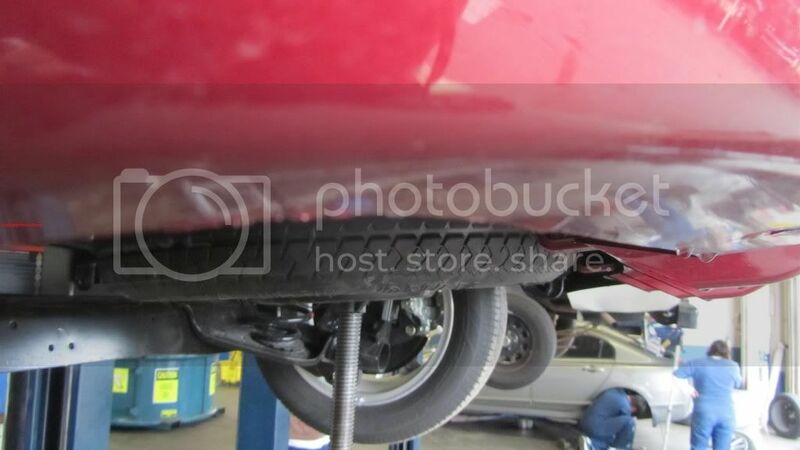 Then, lowering the tire/wheel might be enough weight to pop the clips out, and the "cover" (and clips) could be replaced later when the car is on a rack. 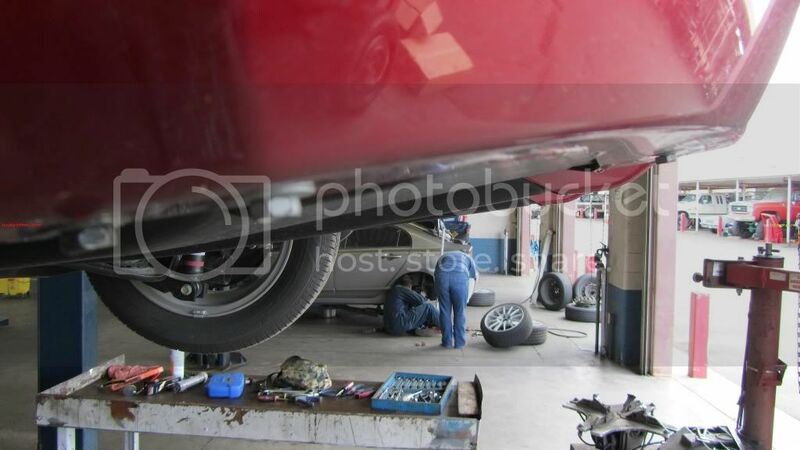 The airflow under the car will be faster than the speed of the car, and buffeting (caused by the edges of the large cutout) could be a problem, possibly ripping off the remaining part of the rear under-panel, or causing severe buffeting noise. It might also create substantial drag, possibly by changing the carefully-designed turbulant airflow at the high-drag back-end of the car. 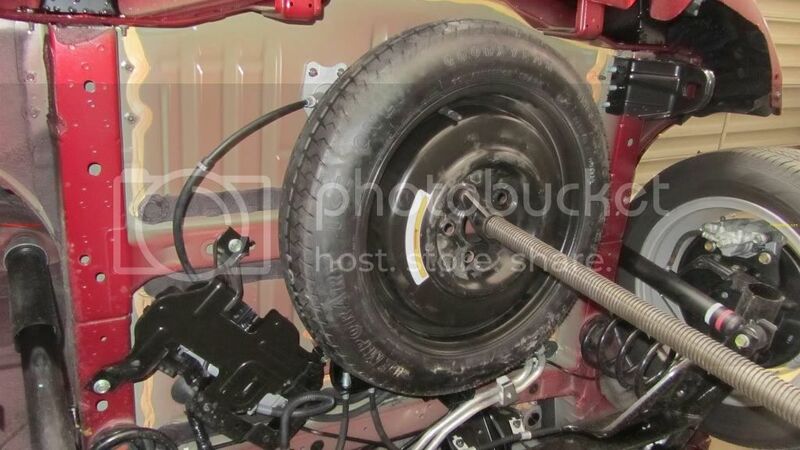 The wheel-well cover could be held up in place with a "bungee" cord of some sort, attached to the wheel hoist "plate".